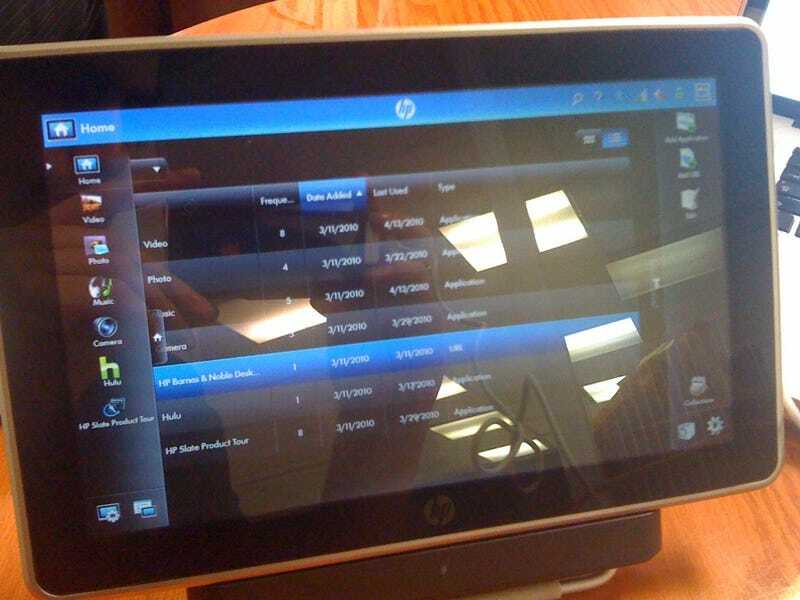 A Mexican site called Conecti.ca got some hands-on time with the HP Slate, and walked away decidedly unimpressed. The verdict: that the device is basically a keyboardless netbook. Well... yeah. If nothing else, the mini-review confirms the leaked specs we saw a few weeks ago: the HP Slate runs full Windows 7 on an Atom processor, has oodles of ports, front and rear-facing cameras, and a multitouch display. The main complaint over at Conecti.ca, in fact, seems to be the Slate's "long and annoying load time," which is a (unquantified) trade-off you would expect for being able to run a full notebook OS on a tablet. It seems more like a compromise than a straight-up drawback, especially when you consider that this was a prototype and likely not a production-level unit.